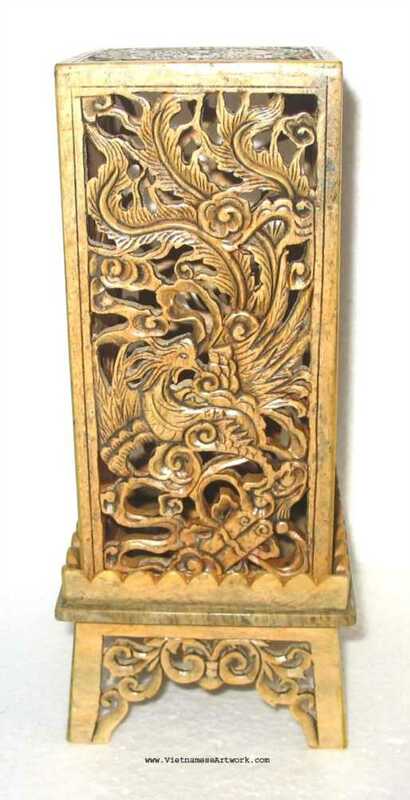 $69 9" x 4" x 4"
Beautiful candle holder with four mythical creatures on the sides and the top made with pagoda's roof design. The box looks like a small Vietnamese tower. This piece of art can be a charming decor for your house especially when you lit it up with candle inside. 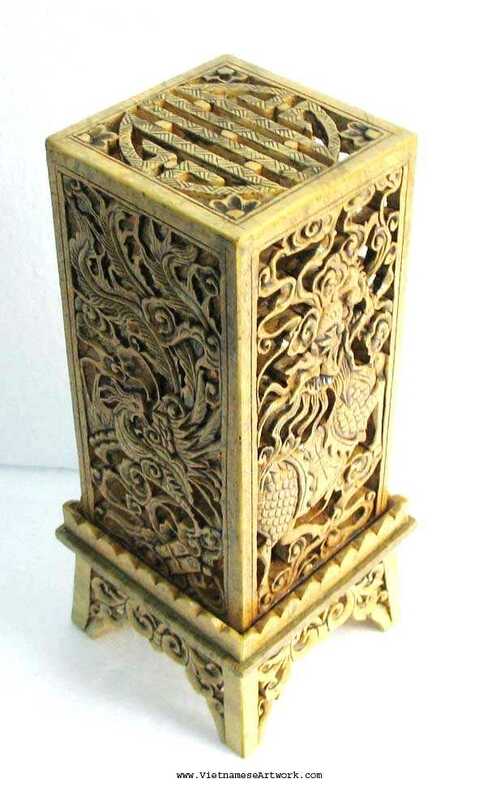 You will love the special visual effect of the light through the carving. 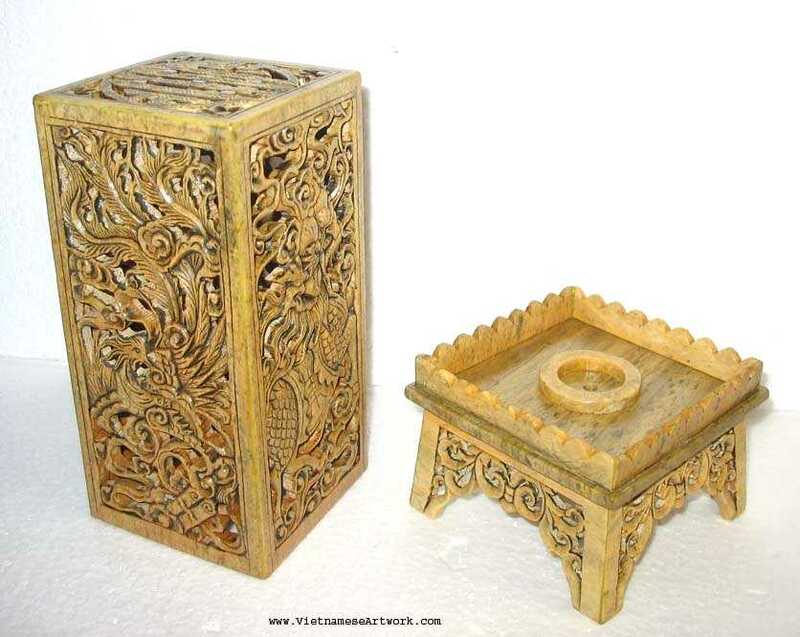 You can also use this box for burning incense.